These zucchini crab cakes are low carb and are perfect for serving as an appetizer for four or a lunch for two! 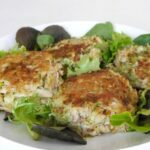 These crab cakes are loaded with healthy shredded zucchini and have crushed pork rinds instead of breadcrumbs! 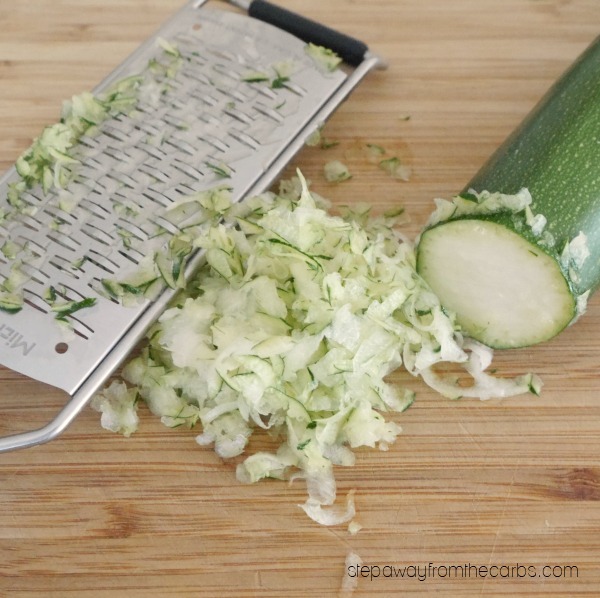 Use a grater or Microplane to shred a medium zucchini. You could also use an attachment on a food processor but for one zucchini I think grating it is quicker! 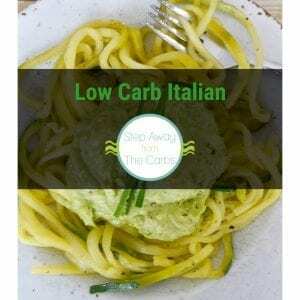 Sauté the zucchini in olive oil with some finely chopped green onion in a large skillet for five minutes. Leave to cool. In a large bowl beat an egg, then add Dijon mustard, crushed pork rinds (I just place them in a plastic sandwich bag and crunch them into crumbs! ), lemon pepper seasoning, salt, and fresh crabmeat. Squeeze the zucchini and green onion through a few layers of paper towel to remove excess moisture, then add to the bowl. Mix everything together well then form into four cakes. Using the same pan as before, add some oil then fry the crab cakes for five minutes on each side, turning carefully. These can be enjoyed on their own but a dollop of mayo would be great with them too! Sauté the zucchini and green onions in olive oil for five minutes. Leave to cool. In a large bowl beat an egg, then add Dijon mustard, crushed pork rinds, lemon pepper seasoning, salt, and fresh crabmeat. Squeeze the zucchini and green onion through a few layers of paper towel to remove excess moisture, then add to the bowl. 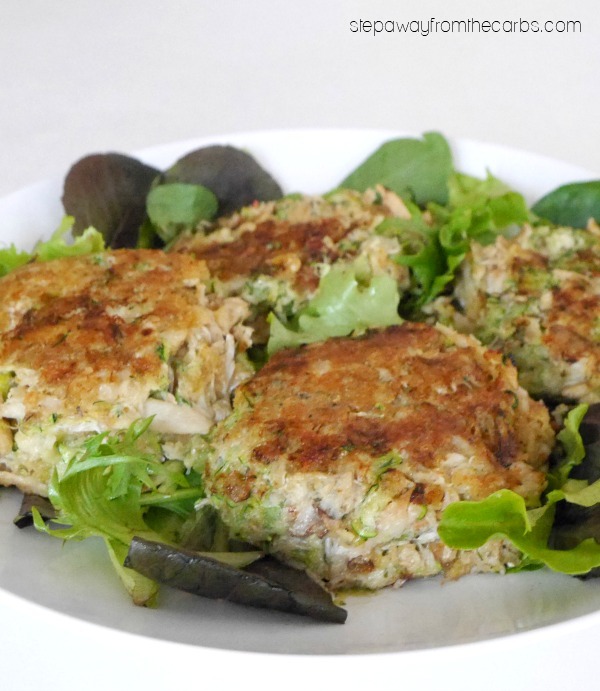 I love crab cakes and zucchini! Such a good idea to use pork rinds for crispness. These sound delicious! 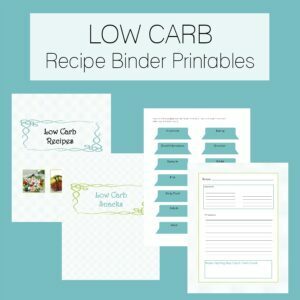 Perfect idea for low carb crab cakes! These look amazing – and I’m not even that fond of crab! I need to give it another try! Bet you could do this with Salmon and Tuna too..